Dr. Ford received his Bachelor's degree in 1973 from Hanover College in Hanover, Indiana. He received his Doctor of Dental Surgery degree from The Ohio State University in 1977. After graduating, he spent five and a half years in the U.S. Navy as a dental officer, stationed at Camp Pendleton, Ca. and Okinawa, Japan. It was there that he honed his skills by spending those years going through rotations in prosthetics, oral surgery, and restorative dentistry. In 1983, after his active duty with the Navy, and while still in the Naval Reserves, he started his practice in Oceanside, Ca. 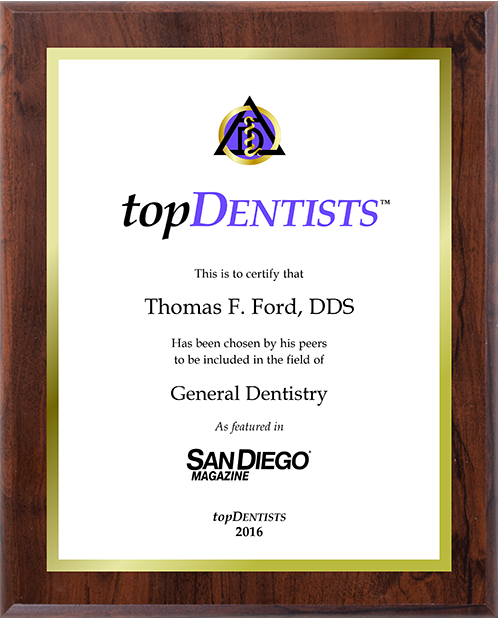 Today, he mainly concentrates on general dentistry, cosmetics, and implant technology, with a special interest in prevention and education. 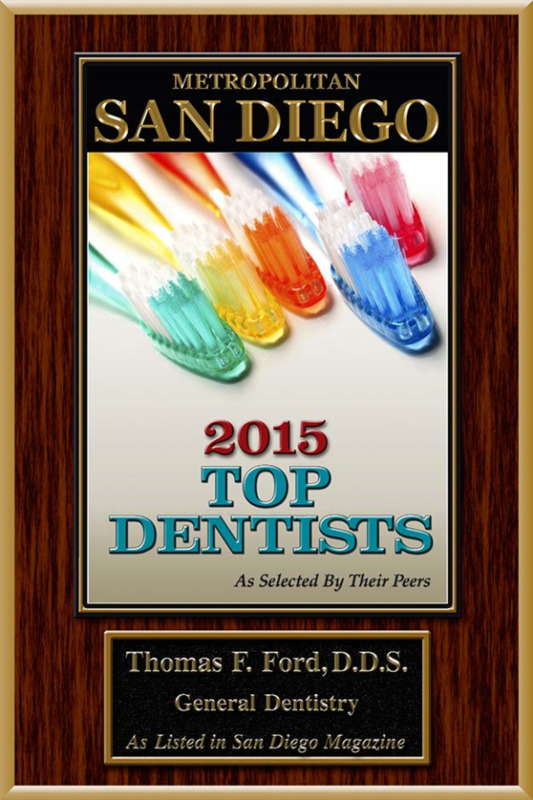 He is a member of the American Dental Association, California Dental Association, San Diego County Dental Society, is a restorative advisor for his North County Seattle Study Club, and has numerous other professional affiliations. 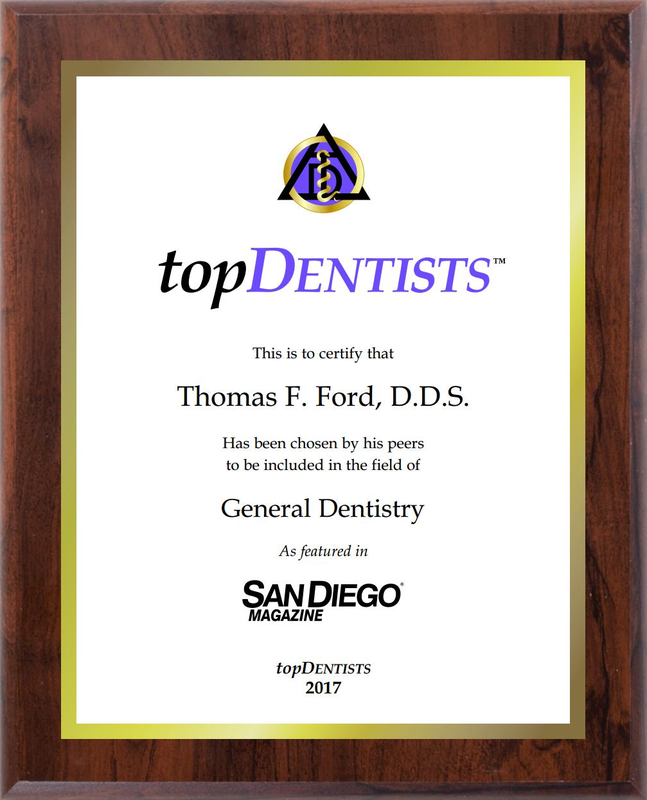 To stay abreast of the ever-changing techniques and materials, he has taken thousands of hours of continuing education to provide the best quality of dental care for his patients. 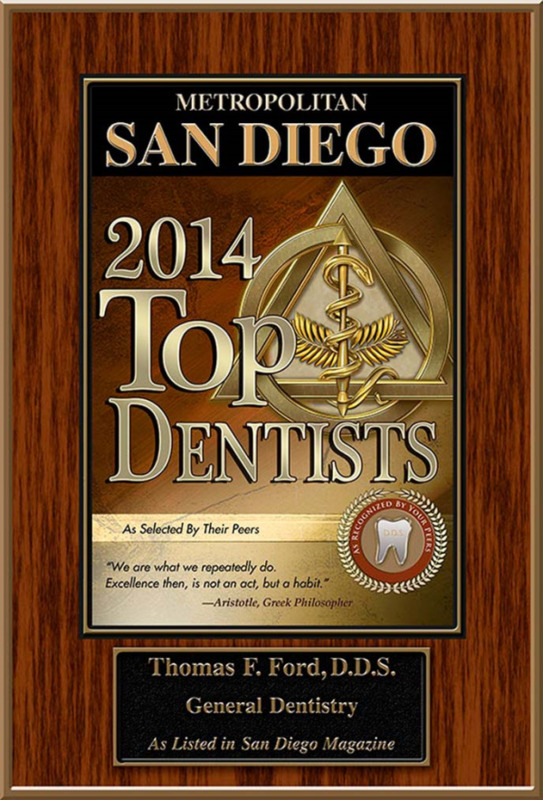 Dr. Ford currently lives in nearby Carlsbad, Ca. 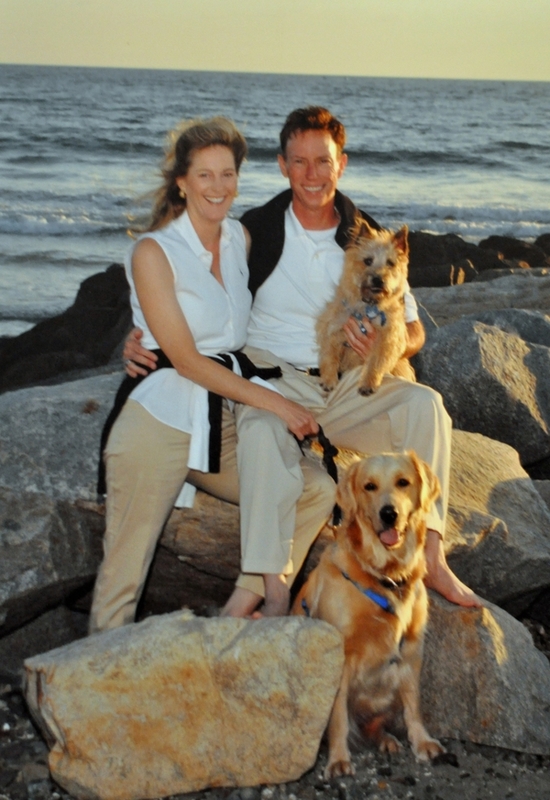 with his wife, Dawn, a Registered Dental Hygienist, and their 2 dogs, Sarah and Montana.